Crystal City’s summertime happy hour event series, Fridays at the Fountain, is coming back early this year. The pop-up beer garden event was so well received by the community last year that organizers decided to open this year’s event series on May 4, which is a month earlier than usual, according to a press release from the Crystal City BID, which organizes the events. 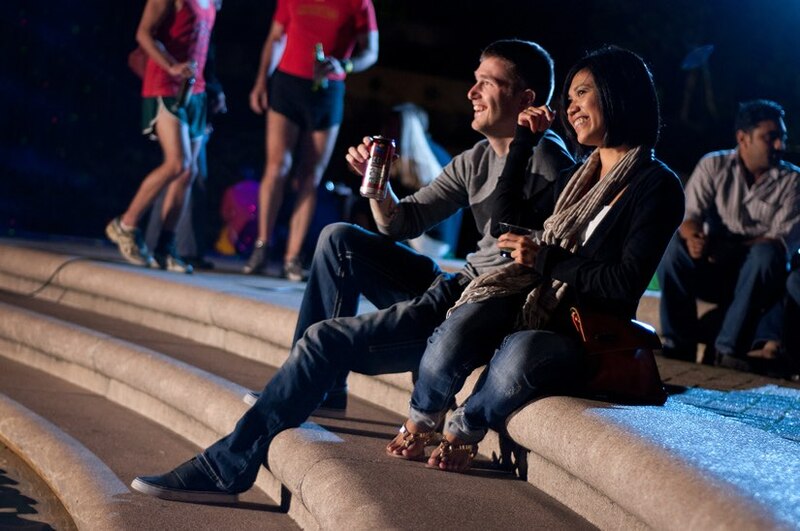 Fridays at the Fountain will be held every Friday from May through October at the Crystal City Water Park (1750 Crystal Drive), and events feature live music from local musicians. Admission is free, and beer and wine will be sold for $5. Attendees can also pay $20 to join the “Mug Club” and receive a branded, reusable mug. This year’s event features a new partnership with The Stand, a concession stand operated by The Social Restaurant Group. Visitors can purchase beverages provided by Crystal City Wine Shop as well as food options from a rotation of local vendors.